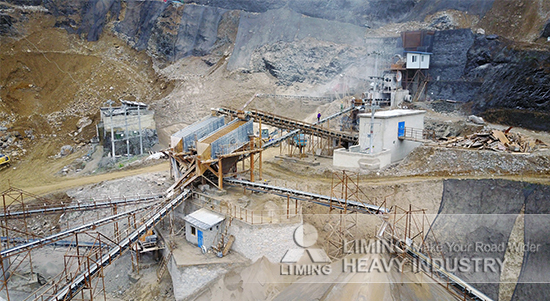 When calcined lime production line has put into operation, you should operates machine according to the rules. There are five aspects you should know. Firstly, you should be careful of ammeter on the control cabinet, and the current will be normal after 40 seconds when the current reaches its peak. Thirdly, vibrating feeder can be started when the jaw crusher works regularly. And you can adjust the feed volume and turn belt according to the size of materials and the running of jaw crusher. In general, the stacking height of materials in crushing chamber should exceed the two seconds of the height of crushing chamber. Diameter of materials is best not to exceed the 50% of inlet width. The capacity can be largest in this situation. The size of materials should not be too large in case they block machine and influence production. Fourthly, you should prevent metal objects from going into jaw crusher in case damaging the machine. If these objects have went into it, you should take them out timely in case they go into secondary crusher. Finally, when the equipment stops working because of unknown cause, you can’t start machine forcibly. <<Next：What is the price of vertical mill production line for slag processing?